The number of Metropolitan Police staff disciplined over racism has doubled year on year, a Freedom of Information (FOI) request has revealed. Channel 4's Dispatches found that over an eight year period, 7,963 racism allegations against police officers were made across the country, yet just 77 — 1% — were upheld following investigation. In the Met, the figures show 22 staff undergoing disciplinary measures for incidents described as racial discrimination in 2012/13 compared with 11 in 2011/12. "I think there must be a risk given that we know that complaints of discrimination are not being dealt with as robustly as they should." Further figures from the IPCC earlier this month showed there appears to be a tendency for police to reject racism complaints unless they're made by the officer's own colleagues, or the complainant has video or audio evidence. The Met is attempting to resolve the latter with the use of body worn cameras, which were trialled in May. In January this year, it was revealed that proposed changes to the stop and search policy to try and prevent unfair targeting of black and Asian communities were being held up by Downing Street over fears of being seen as 'soft on crime'. The following month, Stopwatch, which monitors use of stop and search powers, said that black drivers were being disproportionately stopped by police but because no search took place, it was not recorded. Full Fact also found that black people were more likely to be charged with possession of drugs than white people. 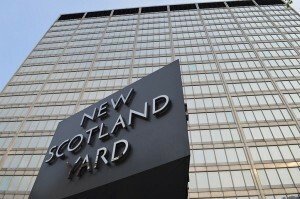 The Met said last year that it would 'reform and learn' from a previous IPCC report on its failure to properly handle allegations of racism against its officers. Photo by Matt Brown in the Londonist Flickr pool.